Congratulations to the below players selected for the initial intake of the 2018 West Coast Eagles State Amateur Colts Representative program. 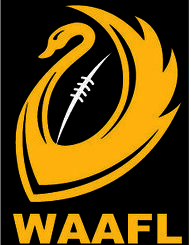 Training for the 2018 WAAFL State Colts Program will take place on Wednesday nights. Our first session will be on Wednesday April 18th at Hamer Park in Mt Lawley and we request your attendance to represent your club on this night. Training sessions will commence at 6:00pm. We do ask that you wear either a club jumper or training shirt to help with the ease of player recognition in the early training sessions of the program. The representative program is highlighted by two games played against the WA State 16’s and against a WACFL Under 19s Representative side. These matches are of a high standard played in front of scouts from AFL and WAFL clubs with members of the WAAFL squad having gone on to play at both WAFL and AFL level. 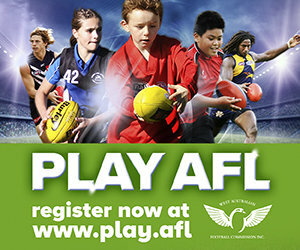 Should you have any questions relating to the program and your involvement please call the WAAFL State Colts Representative Program coach Stephen Healy on 0437 489 400. We look forward to having you aboard for what we hope to be a successful 2018 campaign.